On Saturday Queen Letizia had a quite ladies day out with all the important women in her life. 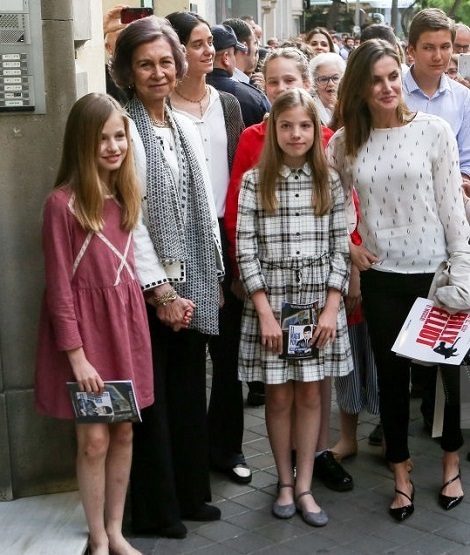 She went to watch musical ‘Billy Elliot’ at New Alcala Theatre with her mother Paloma Rocasolano, Her mother-in-law Queen sofia and her both Daughters Princess Leonor and Infanta Sofia. They were also joined by the two other granddaughters of Queen Sofia Victoria and Irene. Queen looked relaxed and chic in an off-white slightly embellisehd top that she paired with a black pant. 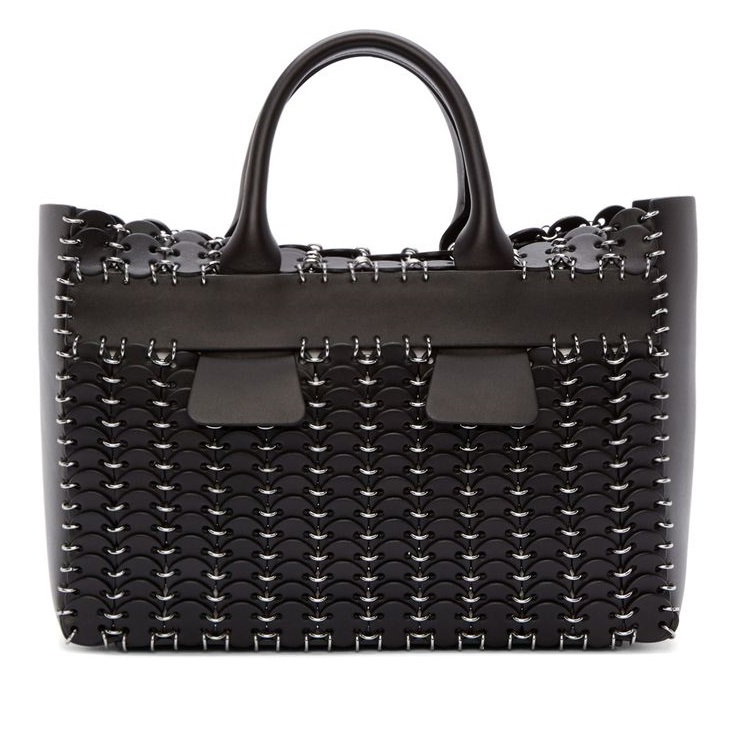 She was carrying her Paco Rabanne Black Leather Disc and Ring Small Bag. 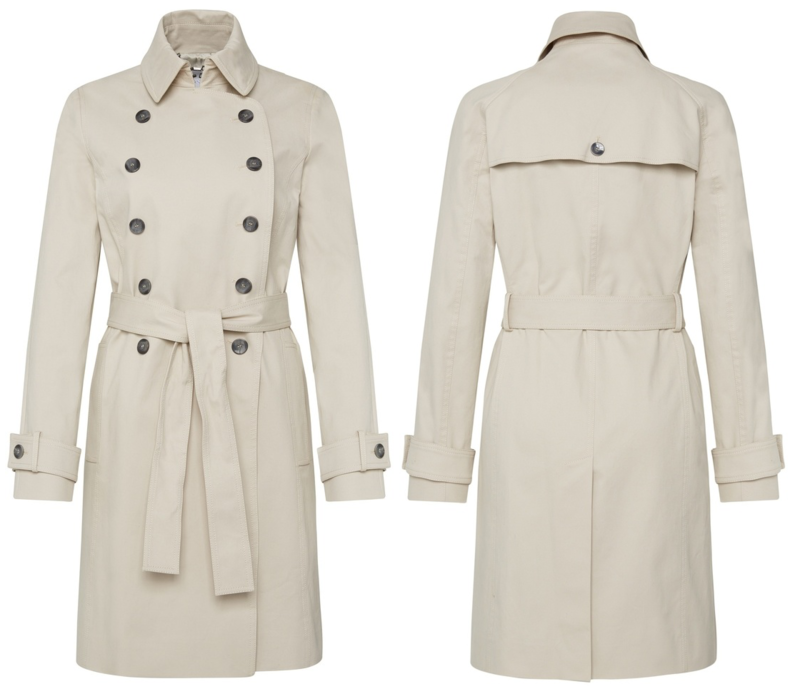 Letizia had her beige Hugo Boss’s Cirala Trench coat the she wore last month to visit her father-in law in hospital draped at her arm. Letizia wore black leather flats with crossed strip from Hugo Boss. 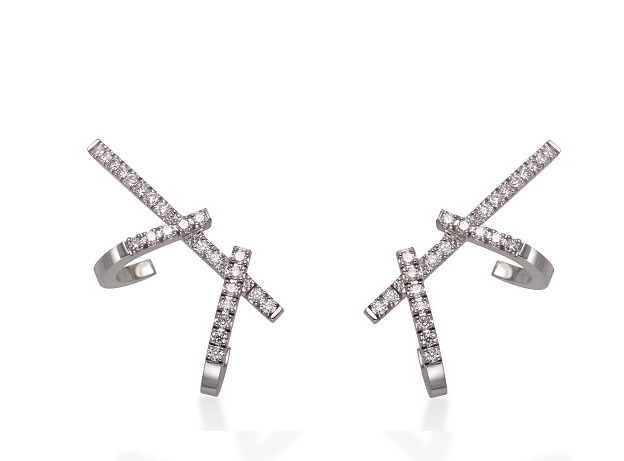 Letizia finished her look with Gold & Roses Double Dagger earrings.